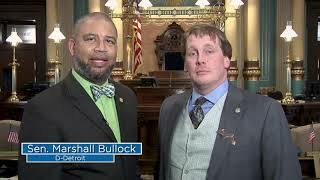 Senator Ed McBroom is joined by Senator Marshall Bullock to discuss a common problem that Michigan drivers share: skyrocketing auto insurance rates. 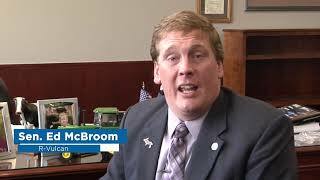 Senator Ed McBroom speaks about his legislation, Senate Bill 87, being signed into law on March 21, 2019. 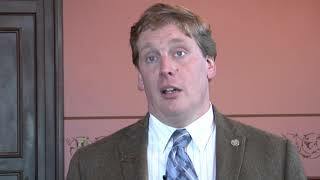 His legislation would protect a judgeship in Menominee County, Michigan. 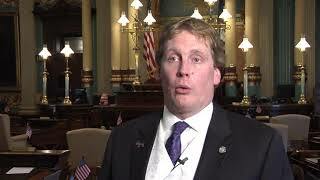 Senator Ed McBroom delivered the invocation to the Michigan Senate during the March 20, 2019 session. Senator Ed McBroom speaks on the importance of government transparency. 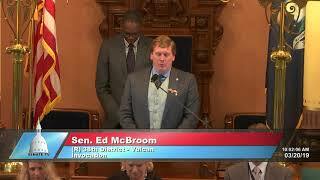 Senator Ed McBroom reflects on the importance of agriculture to Michigan's economy.